Millennial Workers Want More than a Paycheck. So What Exactly Do They Want? Millennials, the generation born between 1981 and 1996, have brought a new attitude to the world of work. Self-determined and career-minded, they want open communication and a sense of belonging. I was recently brought into a firm to help them determine why so many Millennial workers were leaving their organization as quickly as they seemed to be arriving. Frankly, it's not an uncommon problem. Millennials sometimes get a bad rap these days, as employers seek to find answers on how to retain employees. Sure, it’s easy to blame an entire generation for what feels like a surge in employee turnover. But that is a mistake. My conclusion: age had nothing to do with why employee retention rates were dropping. There was much more going on. 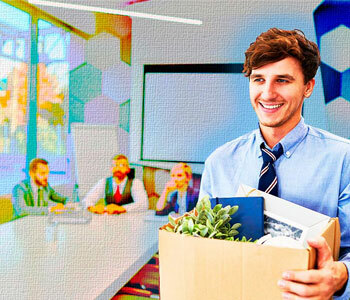 Here are some of the reasons why Millennials could be leaving your company--and some suggestions to help you retain them. Millennial workers are seeking more than a paycheck from their employers. They want a purpose. Business needs to reset its purpose to attract Millennials, according to the annual Deloitte Millennial Survey. Currently, Millennials believe (75 percent) of businesses are focused on their own agendas rather than helping to improve society. Employers seeking to retain Millennial workers are advised to take a closer look at the organizational purpose. Assess how you communicate the heart and soul of company mission and its impact on society and employees. This one small change can make a dramatic difference in employee retention numbers -- and it doesn’t cost a dime to do so. Remember when you began your career and you had all sorts of hopes and dreams for yourself? And then, for most of us, the reality of this thing we call work happened. If this was your experience during the recession you had no choice but to put on a happy face and show up for work everyday. Millennial workers, on the other hand, are at the beginning stages of their career. Their hopes and dreams are still fresh. Only they don’t have to stay at your company – the recession is over. If their hopes and dreams of being treated like they matter don’t materialize, there are 5.4 billion job openings that Millennials can choose from, according to a recent JOLTS report. It’s not uncommon to forget to show people who work for you that they are highly valued. Sometimes a shout out will do; other times an offer of lunch with the boss or an invite to attend an off-site training will help demonstrate that you are indeed happy to have this person on your team. As I’ve said before, Millennials regularly need motivation: nurture, praise, repeat. Many employers are still operating under the assumption that compensation doesn’t matter. It does matter, especially when you are a young professional with student debt who is living in a metropolitan city. If you don’t pay a Millennial what he or she thinks they are worth, someone else will. If it’s been several years since you last looked at your salary structures then this would be the time to do so. The labor market has changed dramatically over the past twenty-four months. Do this now, before another Millennial walks out the door for a better paying job. Have you noticed the increase in the number of companies offering great perks at work? These range from free lunches, company paid taxi rides home for those who work past 7:00 PM -- or even prepared dinners to go. They are enough to make an employee think twice about ever leaving the office! Here’s the thing. Millennial workers (and all workers for that matter) value work-life balance. They want the flexibility to leave work on time so they can have a life outside of work. Yet their reality is quite different. According to a new survey from Deloitte, 33% of those surveyed don’t feel comfortable taking vacation or personal days, while fewer than half say their organizations place value on life outside of work. This disconnect is causing discontent throughout workplaces. The solution to increasing contentment is simple. Nearly half as many of those surveyed said they would feel more comfortable taking personal time if they saw their managers doing the same. Policies that are geared toward work-life balance are great. However, they are only effective if those in supervisory positions make it truly okay for their direct reports to use this time as it was intended. Remind those in charge that work-life balance is part of the fabric of your organization. Reducing this important benefit serves neither the employee or employer. Attracting and retaining Millennial workers requires company-wide effort. This investment is well worth the effort. After all, these are the employees that will enable you to grow your business. Could you use some more insights to help you refine your hiring strategy? Sign up for exclusive Monster Hiring advice and we’ll send you the latest recruiting tips, hiring trends, management strategies, and even some awesome Monster deals. We've got the time-tested expertise, plus cutting-edge technology, to help you attract top candidates of all ages and experience levels.